In Done Deal, Premier League lawyer Daniel Geey lifts the lid on the inner workings of modern football. Whether it is a manager being sacked, the signing of a new star player, television rights negotiations, player misconduct or multi-million-pound club takeovers, lawyers remain at the heart of all football business dealings. Daniel has dealt with all these incidents first hand. He explores the issues that shape the modern game and how these impact on leagues, clubs, players and fans. 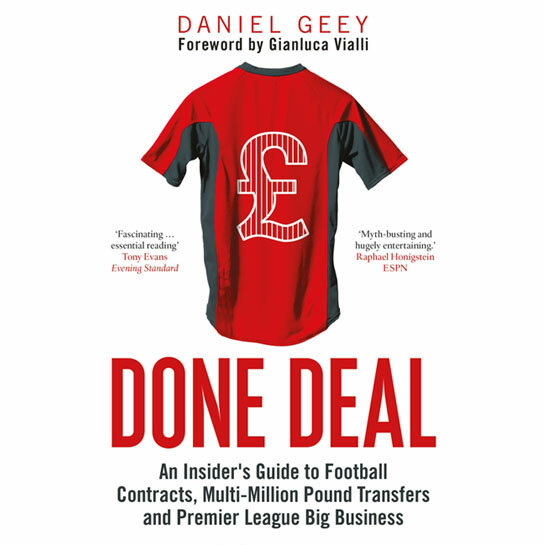 Done Deal provides football fans with a fresh and authoritative perspective on all off-field football matters.